seasoned attorney and courtroom veteran, gets the results his clients want. George Pecherek also speaks Polish. and Family Services. Sara Pecherek is dedicated to serving her clients with zeal and compassion. Planning. 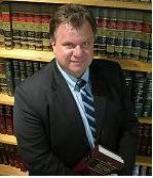 He also works on Family Law matters, including child support, parentage actions, and divorce litigation. finalist honors in his national competition.